Jason Bourne has recovered his memory, but that does not mean that the most lethal agent of the elite troops of the CIA knows everything. Twelve years have passed since the last time Bourne was operating in the shadows. What has happened since? you still have many unanswered questions. 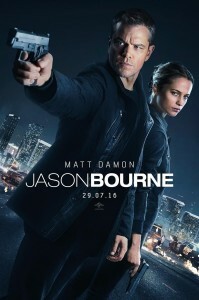 In the midst of a troubled world, buffeted by the economic crisis and financial collapse, cyberwarfare, and in which several secret organizations struggling for power, Jason Bourne resurfaces unexpectedly, at a time when the world it faces unprecedented volatility. From a dark and tortured place, Bourne resume the search for answers about his past.